Last 2 Days for Discount 2014 Membership Rates!! We've had a great response to our new Membership Options and our Discounts (through November 30th). Just a reminder that on December 1, 2013, our rates will return to regular price. Also, due to the number of subscriptions already purchased, we anticipate that we will close registration on or before January 1, 2013. Why would we do that?! 1) Remember, part of what makes Rate Your Story such a desired service is that we're made up of a team of professional authors who are submitting, publishing, and having success in today's markets. Therefore—that means our volunteers are busy people! In order to give our members the best service, we need to limit the number of members we have in our first year offering the Priority Inbox, Multiple Submissions, and other member benefits. 2) The current membership is payable in one annual amount. Signing up after January would mean paying for months of membership that have already passed. That's not a good deal for anyone. As always, if you have any questions about Rate Your Story Membership Options—ask away! Welcome Two New RYS Judges! Rate Your Story's fantastic rating critique services would not be possible without all of the great volunteers. How else could we have given more than 500 writers feedback on thousands of manuscripts over the past 26 months? Of course, it's still a little overwhelming to see the inbox "ping" all day long, especially on free days. There are so many aspiring writers out there, hungry to get a professional opinion on their manuscripts. Nancy Stewart is the bestselling and award winning author of the four Bella and Britt Series books for children: One Pelican at a Time (eighteen weeks on Amazon Bestselling List), Sea Turtle Summer (International Classics Gold Book Award), Bella Saves the Beach and Mystery at Manatee Key. Her book, Katrina and Winter: Partners in Courage, is the authorized biography of Katrina Simpkins and her life changing relationship with Winter, the dolphin (International Classics Silver Award, 2013) A frequent speaker and presenter at writing conferences throughout the United States, Nancy conducts many for SCBWI and speaks to school children frequently. Learn more at www.nancystewartbooks.com, read her blog, or visit her on Twitter or Facebook. Kristen Fulton lives in central Florida with her husband Rusty, a rocket scientist (really). Kristen's books are represented by agent Kendra Marcus of Bookstop Literary and she has three picture books under contract: a nonfiction title that debuts in 2014, and one nonfiction and one historical fiction slated to come out in 2015. Kristen is also the founder of Week of Writing: Nonficpic week and organizer of a private picture book retreat that will take place in Georgia in July 2014. When she is not writing or planning her WOW conference, Kristen likes to watch the Hallmark channel. Learn more at: http://www.kristenfulton.org. Thank you to ALL of our fantastic judges! Meet them here. Hey, all. Miranda here. Last night, I finished reading The BFG by Roald Dahl to my kids. It was my favorite book as a fourth-grader, and re-reading it reminded me of all the reasons why it is such a phenomenal book. One of those reasons? The main character isn't constantly being lectured or controlled by parents. What young kid wouldn't find it fascinating to step into a world where a child is front and center? That brings us to today's post. I was SUPER excited when multi-published author Joan Donaldson contacted me with a request to write about this very subject, which she calls "Pitching the Parent(s)." Ms. Donaldson has published three picture books from houses such as GP Putnam, short stories in magazines such as Guideposts, and her novel On Viney's Mountain (Holiday House) was chosen by the state of Tennessee to represent them in the Library of Congress's book festival in 2010! Ms. Donaldson's article is very timely to those of you doing NaNoWriMo or PiBoIdMo, so enjoy! What do Sarah Crew, Crispin, and Jackie Faber have in common? Each of these characters has lost either one or both of their parents within the first chapter of their respective novels. Tossing out a parent also occurs in picture books; such as the little orphan in Saving Sweetness who outwits Coyote Pete and convinces the sheriff to adopt her. Or in The Christmas Miracle of Jonathan Toomey, the fatherless lad instructs the wood carver on how to carve a crèche. Sometimes parents hover in the margins of the story, such as in A Wrinkle in Time, where in the beginning Mrs. Murray interacts with Meg, Calvin and Charles Wallace, yet for most of the narrative, the young characters accept the quest to travel through space and find Meg’s Father. Why do authors pitch the parents? While writers understand that in reality, the loss of a parent devastates a child, in fiction, this situation empowers the protagonist. When adults are eliminated or shoved to the perimeter of the story, the children are thrust into the conflict and must solve the problems. Perhaps there is a mentor who guides the hero, such as Bear in Crispin and the Cross of Lead, or the covey of neighbors in Because of Winn Dixie who offer advice to Opal. Yet in each situation, the child or children must take the lead in bringing resolution to the conflict, and along the way, learn more about themselves and life. Also by deleting the parents and dropping the child into a different world, the protagonist can offer her insights about the situation. Take Jackie Faber of the Bloody Jack series. In the first novel, Bloody Jack, Jackie loses her family, and learns how to survive on the 18th century streets of London from a gang of rag-a-muffins. Eventually Jackie manages to pass as a ship’s boy in the Royal Navy, and roars through more adventures than the average hero. If Jackie’s parents still lived, the reader would assume that they would search for their child, and she would long to be united. This is the case in My Side of the Mountain where Sam’s family shows up at the end of the book and his adventure of living solo in the wilderness ends. So how can an author know if s/he should pitch a parent? Ask yourself, how much would change the child’s life and the main conflict if you deleted a parent? Recently, I was working on a middle grade novel where I created a two parent family with a twelve-year-old daughter. When an award-winning author critiqued the manuscript, she recommended that I eliminate at least one parent because, “two are not necessary for strengthening the conflict.” So I pitched the dad and sent the mother overseas for the rest of the year. Plus farm work and parenting distracted the aunt and uncle, so the child had space and time to experience adventures. If both parents aren’t necessary, then which one should you eliminate? Examine which parent plays the most important role and leave that person in your story. Also consider writing two drafts, one with the mother gone, the other with the father deducted. Just as I often write two drafts from different point-of-view, this experiment will show you which parent is integral to the narrative. Pitching a parent will change the voice of the protagonist and the tone of the story, creating another layer of conflict. Remember to utilize that tension as you propel the heroine through the gauntlet of challenges. If you don’t feel comfortable deleting a parent, then find ways to keep them busy and out of range, so distracted that the child has time for adventures. Even in the beloved Little House Books, sometimes Pa works in another location or has walked many miles to town. 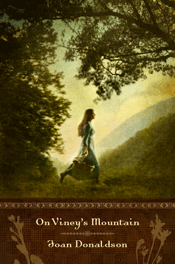 In These Happy Golden Years, Laura leaves home to teach school at a distant community; she must cope with rebellious students and live with dysfunctional family. Although Laura can talk to her parents on the weekends, she must resolve the difficulties, just as your protagonist will search for answers as s/he faces trials. So the next time you sit down to write, consider pitching a parent; ponder if doing so would heighten the tension, increase the child’s power, and connect your reader more closely to the protagonist’s life. 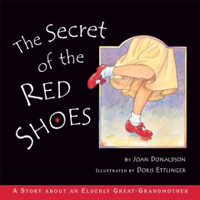 To learn more about Joan Donaldson, visit http://www.joandonaldson.com/biography/ or join her on Facebook at https://www.facebook.com/pages/Fans-of-Joan-Donaldson/135013209855908. 1) The agent interview will normally be exclusive to PRO members only. 2) This month's PRO email also included a few submission calls/contest links, and the Basic and Pro emails included a special discount offer on professional critiques. If you haven't signed up for membership yet, or would like to upgrade to PRO, drop us a note and we'll send you this month's bonus emails retroactively upon checkout. 3) Today is open submission day for members and non-members. There will not be an open submission day in December, and our next free open submission day will be January 1, 2014. Please make sure to visit our submission guidelines page before submitting. Please remember - only one free submission per person on free submission days. Thank you for adhering to our rule so that we may help as many authors as possible! 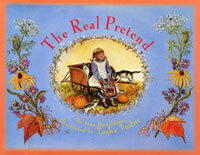 Happy NaNoWriMo, PiBoIdMo, and Picture Book Month!